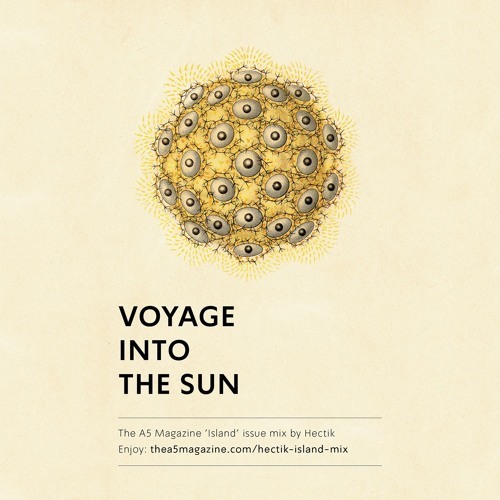 Voyage Into The Sun Mix for THE A5 MAGAZINE 'Island' Issue. Sunny music for those lazy sunny days... THE A5 MAGAZINE: www.thea5magazine.com Tracklist : 1. Simon Peter - Arc Of Lark 2. Max Essa - All Is Not Lost 3. Antena - Camino Del Sol 4. Stratus - Tisno 5. Wolf Müller - Aiolos 6. Andras Fox - Janine's Theme (Earth) 7. Blue Gas - Shadows From Nowhere 8. CFCF - Chasing (Apiento edit) 9. Spike - You Can Do It Enjoy!